Will Taylor Duryea get back in for the Hawks? Get them in: Big men Darcy Moore and Ben Reid are pushing to return for the cut-throat semi-final against Greater Western Sydney at the MCG on Saturday night. Other options include the qualifying final emergencies Jack Madgen, Callum Brown, Josh Daicos and Jarryd Blair, along with Sam McLarty and Nathan Murphy. Under the pump: Mason Cox has enjoyed a breakout season and has become increasingly important to the Pies, and he will be determined to improve upon his five-touch, two-mark, scoreless first final against West Coast. Medical room: Moore (hamstring) and Reid (calf) could be available. Get them in: Veteran Ryan Griffen (hamstring) looks ready to return against Collingwood after training solidly over the weekend, while key defenders Aidan Corr and Sam Taylor could also be available. Forward Daniel Lloyd is also an option after being unlucky to miss out last week. Under the pump: After such a dominant win over Sydney the Giants aren't likely to make any unforced changes. Medical room: Star midfielder Josh Kelly is unlikely to get up after suffering a knee injury in the opening term against the Swans. Get them in: The three main contenders are defender David Mirra, utility Taylor Duryea and forward Ryan Schoenmakers, who all sat out Box Hill's VFL elimination final against Geelong on Sunday. The five-day turnaround from that game means those who played, like Teia Miles, Kaiden Brand and James Cousins, are unlikely to be in the frame. 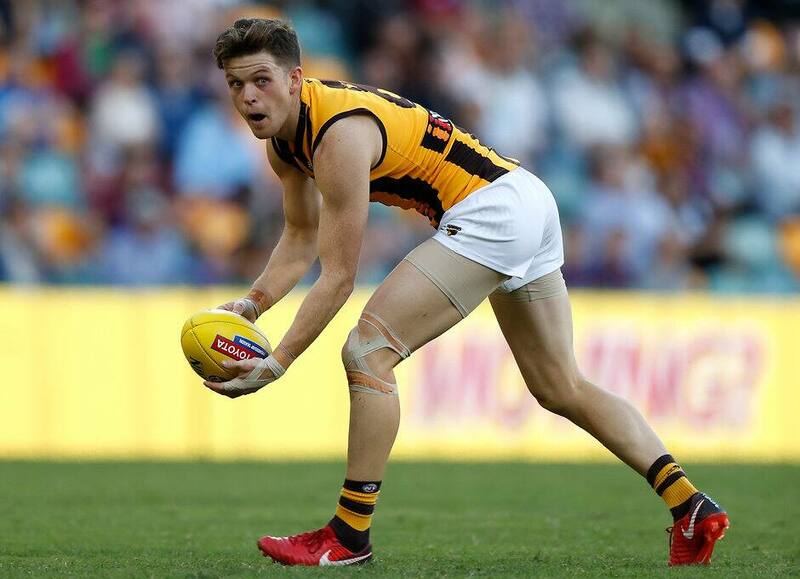 Under the pump: Irishman Conor Nash is in the side largely for his pressure, but laid just one tackle against Richmond last week and registered 14.4 pressure points – the fourth-worst tally among the Hawks. He also had a team-low five disposals. Medical room: Hawthorn's best and most versatile defender, Ben Stratton, is unlikely to play again in this year's finals series because of a right hamstring injury. Schoenmakers (Achilles soreness) was a late scratching from the qualifying final. There seems little chance that Grant Birchall will take part in the finals, given an adductor strain postponed his return from a long-term PCL issue. Get them in: Unlikely to be any changes, although Joel Smith and Jayden Hunt are thereabouts should an injury arise. Others in the frame are Jay Kennedy Harris, Tim Smith, Cam Pedersen, Jeff Garlett and Tom Bugg. Medical room: Neville Jetta (shoulder) has declared he is right to go against the Hawks. Bernie Vince (AC joint) is a chance to play in the VFL for Casey this weekend, while Dean Kent (AC joint) is still at least another week away. Michael Hibberd will be monitored after he left training early on Tuesday.